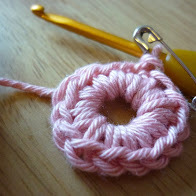 This is one of the classic crochet motifs and one of my favourites. I wrote a simple version of the pattern for Craftseller magazine, way back in September 2012, and it’s one I use quite often. 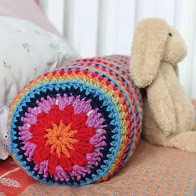 You can easily join this motif to make blankets or even a small cushion like the one I designed for Craftseller. 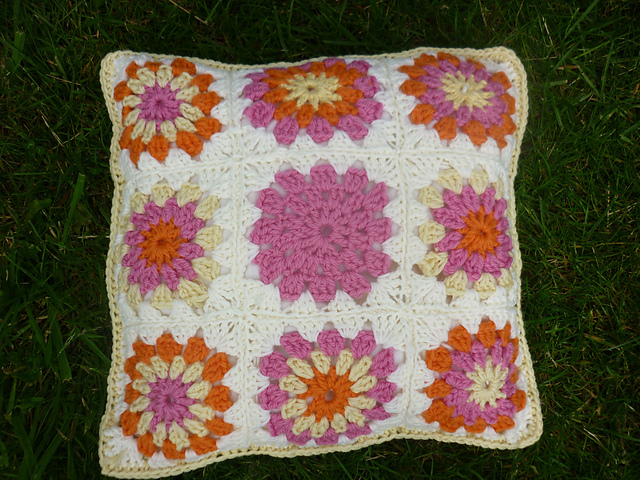 I know that not everyone finds it easy to follow a written pattern (but persevere it’s a skill which opens a whole world of crochet patterns to you), so I was really happy to see fellow designer Vicki Brown had made a tutorial for this classic motif over on her blog. Even better is the fabulous little time lapse video she posted on her facebook page. Pop over and take a look I really admire Vicki’s designs and love reading her blog. 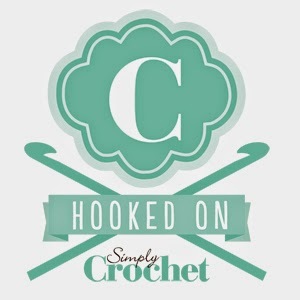 Don’t forget , if you’re looking for more crochet inspiration you can click on the free patterns tab here for more ideas and simple makes. I can highly recommend your pattern Tracey – it was one of my early makes and I have used variations of it ever since!